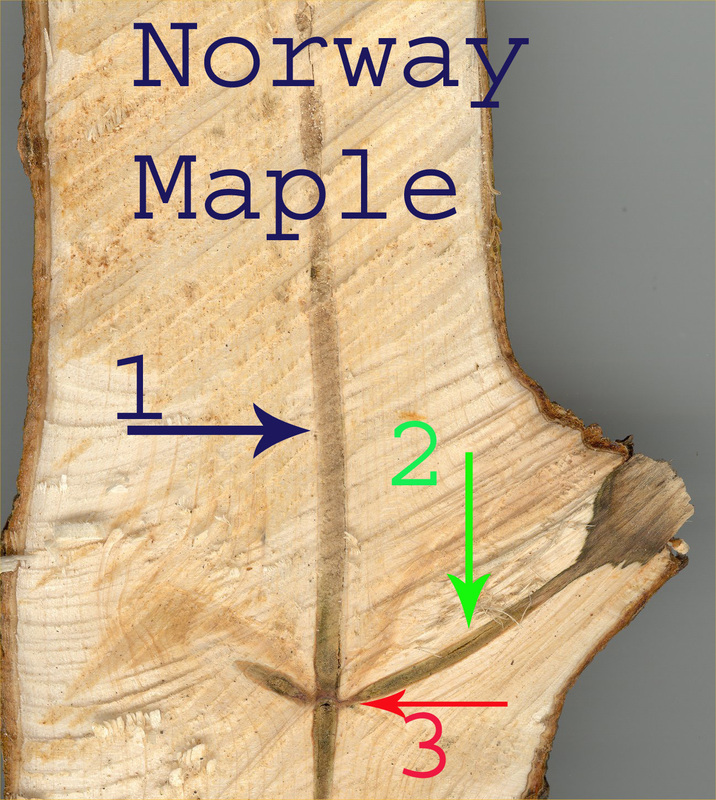 Above: On this Norway maple section 3 points can be made. #1 is the pith. #2 is the pith of the branch. #3 is the hardened off area. 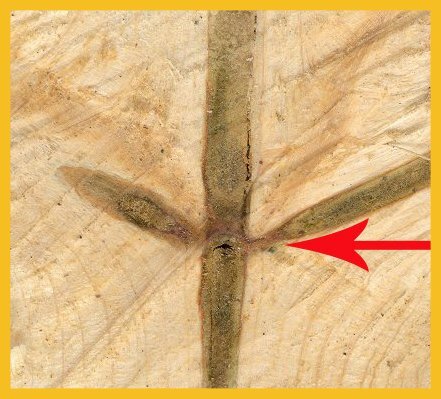 The pith from the branch does not connect to the pith of the main stem, there is a hardened off area . If it did microorganisms could travel at will. See next picture for a closer look. Here as in most oaks you can see the five point star shaped pith. 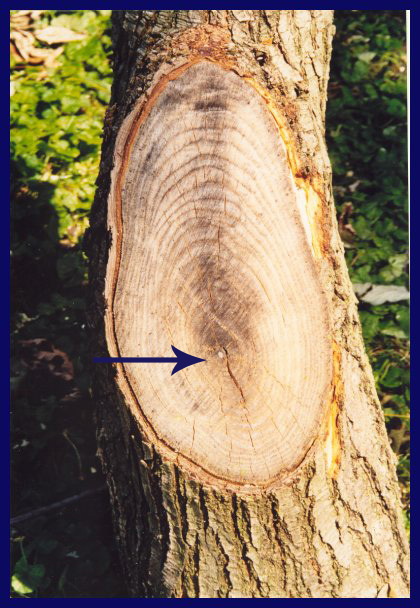 Above: Some species such as this Young Black oak store starch in the pith. 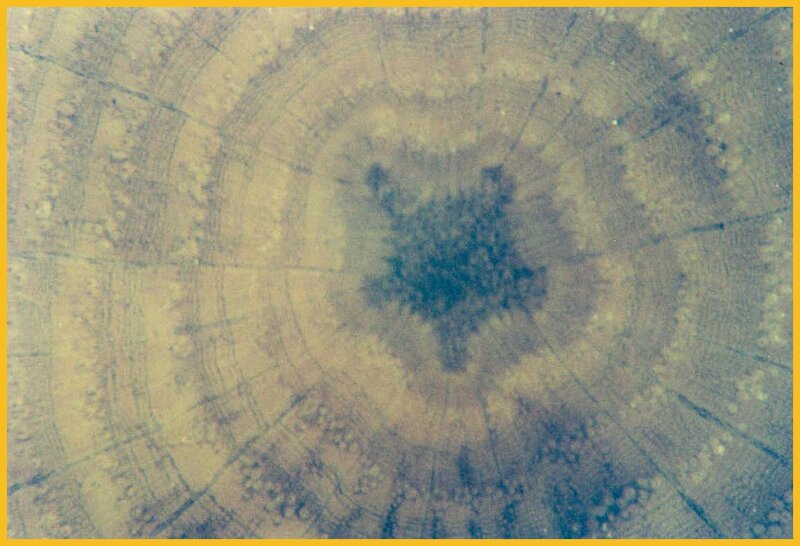 This sample was stained with I2KI which stains starch grains purple such as in this star shaped pith. 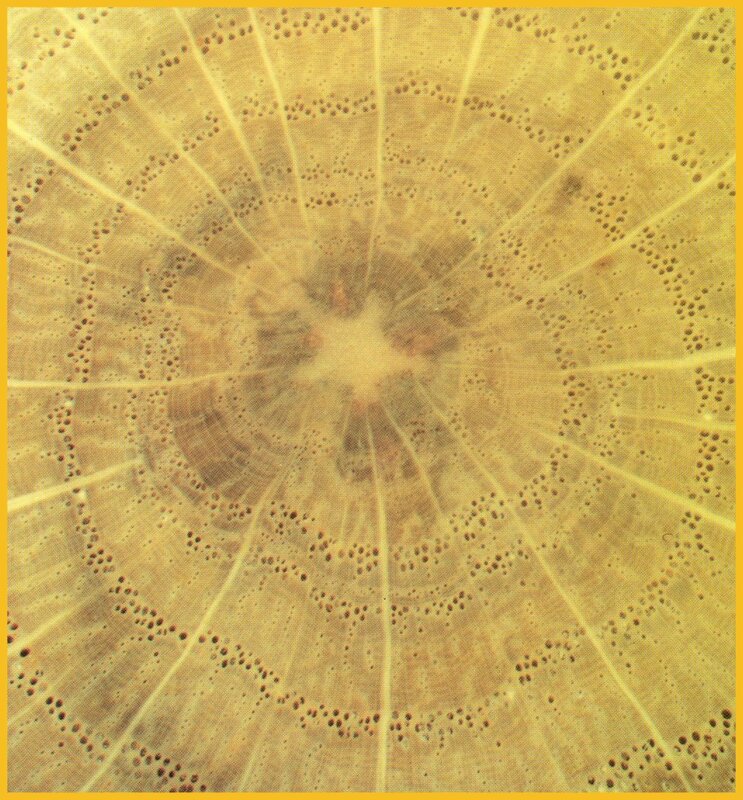 Above: In this unusual case, the pith in this stem is on the downside. Most of the time it will be on the up side and the stele of the woody roots will be on the down side, most of the time.